SALESIANER MIETTEX Textile Management is committed to offering the highest quality for cleanliness, punctuality and reliability through innovative solutions. As a specialist at implementing state-of-the-art technologies, conducting relevant research and development, the current standards should continue to be exceeded to the advantage of the customer. 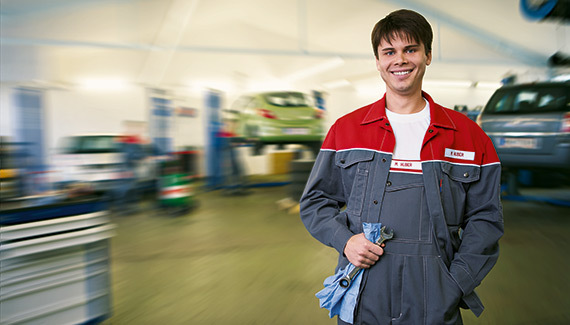 In this case goal orientation is to be placed before technological orientation. Appreciation and professionalism in our personal contacts, within the company as well as outside of it, are formative values in our company culture. 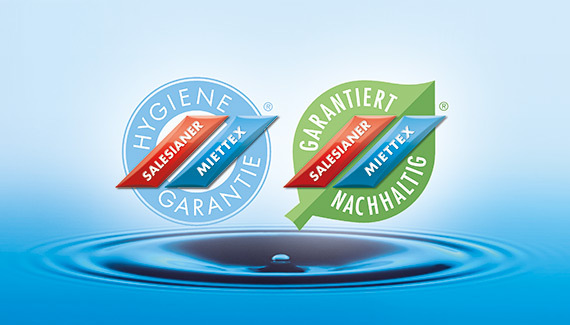 With its comprehensive guarantee for hygiene, supply, satisfaction and sustainability, SALESIANER MIETTEX has set an example providing for safety and a competitive advantage on the market for its customers using innovative, standardized processes. Our complete range of textile services include procurement, stocking, maintenance, the hygienically perfect washing of textiles, punctual delivery and pickup. 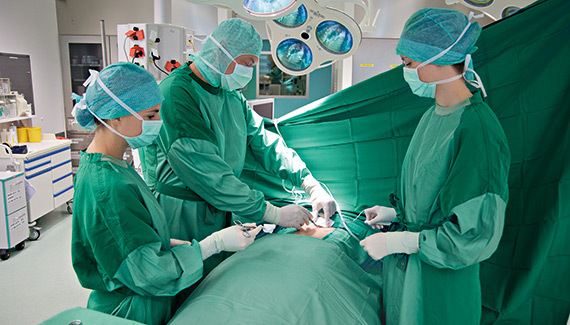 In the healthcare sector sterile surgical gowns and drapes, ward service and clothing service, incontinence textiles and personal laundry services for residential care facilities. Textile management for hotels and restaurants from napkins to bathrobes. Personalized workwear for the industrial, trade and commercial fields, in the food and pharmaceutical sectors, personal protective clothing and cleanroom clothing. Dust control mats with or without advertising. Curtain service in and around Vienna. Hygienic and sustainability guarantees apply to our laundry service; textiles are disinfected and cleaned in accordance with standardized environmental procedures. In 1916 Magdalena Wittmann founded the laundry shop in Salesianergasse in Vienna that she later managed together with her husband Josef Krautschneider. The company continues to be family-owned to this day. Even in the post-war years constant attention was paid to modernizing operations; in 1960 there were already 75 branches. Expansion continues under the guidance of Hans Krautschneider, the company founders‘ son; in 1985 Christine Krautschneider takes over the company, further developing the health care segment starting in 1988 to include sterile surgical textiles. 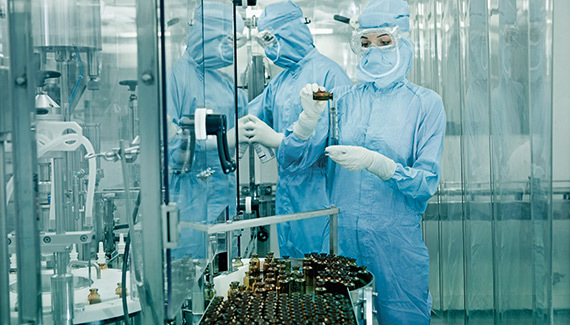 The challenge of cleanroom textiles is mastered. The expansion in the 1990s goes beyond the Austrian borders, bringing with it advancements that lead to having the top position in Austria and most of the countries in the Central East-European region and in South Eastern Europe. Christine Krautschneider‘s son, Mag. Thomas Krautschneider manages the high-tech company today with its 23 laundry operations at home and abroad, employing a staff of over 2000. In 1916, 100 years ago, my grandmother laid the foundation for our business. Today we are the market leaders in Austria and the leading supplier of textile services in South Eastern Europe and the Central East-European region. The laundry shop in Salesianergasse in Vienna has grown to become an international, innovative textile management enterprise, setting an example for hygiene and sustainable development when handling some 350 tons of laundry daily. As an Austrian family-owned enterprise we are particularly pleased to have borne the Austrian national coat of arms since 1981, and to have been approved with the merit it stands for. It is a confirmation and a challenge for us as well to continue our pioneering work in the field of textile management.